This book features 200+ full-size, real-life ECGs accompanied by thorough explanations and analyses. Presented in a clear and casual writing style, the book's leveled approach takes a complex subject and makes it simple. 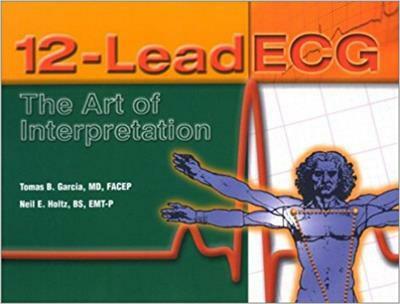 Welcome to the comprehensive resource on 12-lead ECG! This all-encompassing text is designed to bring you from having little or no electrocardiographic knowledge to the level of a fully advanced interpreter of ECGs. Whether you are a paramedic, nurse, nurse practitioner, physician assistant, medical student, or physician wanting to learn or brush up on your knowledge of electrocardiography, this book will meet your needs.